Cats may not show you that they’re happy, but if you feel like your cat could be happier, you can always engage in activities that they will enjoy. Here, I’ll talk about ten tips to make your cat happier, and why these tips matter. This may seem kind of silly, but cats respond positively to attention. Cats do like to be pet, but some like it more than others. If she wants to be pet, she normally does that. Now Zip, on the other hand, loves affection. He doesn’t care, he will love it when you touch him. He likes to be stroked near the scent glands. However, he is very finicky about his belly. Some days, he likes it, sometimes not. With cats, sometimes the best thing for you to do is to watch them, see if they’re into it, and then act accordingly. But, cats love to be pet and being able to give them that attention will do a whole lot of good for them, and make them much happier. Cats can get tired of the same spaces just like how humans do, and sometimes, by adding a new, innovative little toy or some new addition, you can make the cat insanely happy. For many pet owners, they think that their cats will like everything, but the truth is, it’s actually not the case. Sometimes, you need to add a few new additions to truly help make it better. I know that with both Smokey and Zip, every time we would include something new, they’d lose their minds. As a pet owner, adding some new items to them does make a world of a difference. I know it seems silly, but cats do get sick of the same old spaces as well. They try to get into new things, and you as a pet owner can add these new items for them to enjoy. It makes a huge difference in their mood. As another addition, you should give them a scratching post. Giving them horizontal and vertical scratching pads will keep them away from scratching your stuff, but it will also be fun for them too. It also will give them something to do so they aren’t tearing apart your apartment. Giving your cats something to do is a great way to make your cat way happier. The last thing you want is a bored cat because a bored cat is one that will tear up your stuff. There is this common misconception that cats are always loners and that dogs are “better” because they always hang out with humans. here’s the thing: cats actually like humans, they just sometimes want to be left alone. Think about how we are as humans: sometimes we want to be left alone, right? Well, cats are the same way. But that doesn’t mean you should always leave your cats alone. Cats who are neglected tend to act out a little bit, and they may do things that annoy you, or break your stuff for attention. Have you ever seen a cat knock something over? that’s probably because they want your attention but you’re not giving it to them. Just because a cat isn’t sitting around barking all the time doesn’t mean that they don’t like it when you acknowledge them. They are social creatures, which means that they need some form of interaction. It doesn’t have to be much but as a pet owner, this can make a difference between a cat that is happy and one that isn’t happy. Even just 15 minutes of interaction directly with the little guy each day can help, and you as a pet owner will help with making sure that they’re happy, and that they’re healthy as well. Some cats naturally may be the type to hide, but sometimes if there is something really wrong, it could be because of a problem with the cat. While you as a pet owner may not like to take the cat to the vet, it’s super important, and many vets do specialize in cats. They can make the trip a lot of fun, and even if the cat is a bit anxious themselves, a vet can be super helpful. That’s why, as a pet owner, you take the cat to the vet, get them fixed, and even when they’re done being fixed, you take them every single year. Also, if you’ve ever got any questions regarding what the cat is going through, you can always ask your local vet about it. They know a lot about it, and they can help if there are some questions you need answers to. For example, I didn’t know that my cats had a small issue with their bodies, and only because I asked about the stool that I got the answer from the vet. They gave me some medication, and now my cats are healthier. They also may rag on you for having a fat cat like they did with Zip, but it’s not the end of the world. It just means you need to take care of them. These two honestly go hand in hand, for various reasons. A microchip is something that you should have in your cat already. Now, if you got your cat from a shelter, like how I did, chances are the cat is already microchipped. Both Zip and Smokey are, and you as an owner don’t have to worry about it harming your cat. Let’s face it, some cats look the same. Zip is a black cat, and he does look similar to other black cats, despite being a little bit chunky. As a pet owner, adding this microchip can help you reunite with your furry little friend if things get tough. Now with all of these, you should obviously supervise them. You want them to experience the outside world, and if they want to go outside past the windows, you can as a pet owner give them this chance. Again, this is ultimately up to you, and you should be careful with this every single time you do use this. Don’t just let them run around without any supervision, because that’s how they get lost. Parasites are the worst because not only do they create problems for the cats, but external parasites also create problems with humans too. With flea medication, not all are equal. Personally, I really like Advantage II, because it works. Some flea medications actually can make it worse for the cat, and they don’t work. Those bulk flea medications you get at Sam’s Club? They actually don’t work, and the ingredients are super compromised since it’s been sitting in a hot truck for days on end. I suggest getting the Advantage II online, and you can usually get it in bulk from Amazon. It’s worked wonders for my little guys. As for worms, you should make sure that you see the vet for this. You can talk to them if you have any concerns, and from there, get the help that you need in order to have a healthy cat. It does make all the difference. Did you know that with the right training, you can teach your cat tricks? 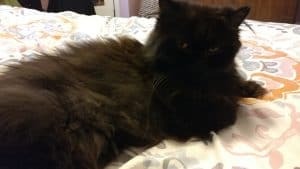 It probably sounds like a ton of work, but if you want to make your cat happy and get them to do some amazing things, then you should try to train them. Cats are smarter than you think. They do like training, and you can train them to do tricks, just like how you can with a dog. For example, if you want to, you can teach your cat to meow on command. I do that with Zip, and each time he does he gets a treat. You can also teach them to sit in certain places, instead of walking all over everything that you have. It is really nice, and you as a pet owner can benefit from this. Training is super stimulating for both owner and cat, and it can be great for both parties, and as a cat, it can make your little friend even happier than they’ve been before. Training is good for everyone, not just dogs! For many pet owners, they don’t think about their cat’s teeth. After all, they’re just kind of there. But the thing is, cats are susceptible to the tooth decay and other dental problems that we have. But, remember that cats don’t actually brush their teeth twice a day like we do. Want to hear a scary thing? Cats will show signs of oral problems by the age of 3. You can treat this, but if it’s left untreated, it can lead to chronic illnesses and serious diseases. It’s just like with humans, they need to have their dental health taken care of. Now ideally, you should make sure to brush your cat’s teeth. There is toothpaste that is developed for cats, so make sure that you use that and not the actual human toothpaste that’s out there. That’s poisonous for cats. However, if your cat is not a fan of this, you can actually clean their teeth with food. That’s right, Meow Mix Brushing Bites are small little pieces of food that taste great to a cat, but they help with dental issues and control plaque and tartar. For many people, this can make a world of a difference, and often, it can help with keeping your cat’s dental health in check. As a pet owner, you need to make sure that you take your time with this, and that you make sure that you protect your cat’s dental health. You can make them happier with this, and it’s a small way to not only make your cat happy but also healthy as well. The bites themselves are made with chicken and salmon, so cats will eat these and love the taste. They have more calcium and vitamin D within it, so it will not only help with supporting their dental health but also give them stronger bones too. You can use these each day, but also using them with tricks is a great two for one. Cats love privacy when they need to use the bathroom. You should as a pet owner make sure that all of the odors that are in the box are taken out whenever it can possibly happen. Cats that have a clean box will be happier. But, it’s more than that. Some cats are weird about the state of their litter box, to the point where if it’s not clean, they’ll use other locations to use the bathroom. If they sell it, they will try to use a different haunt rather than the box that they should be using. Being clean is a big part of a cat’s life, and some cats are super obsessed with being clean. If you want to prevent further problems, then you can make sure that their box is taken care of, and that it’s clean. Some cats need to have it cleaned up all the time, so making sure that’s it’s clean before you do anything is good. I clean mine a few times a day. Some cats are cool with the box being in the bathroom too since it reduces the risk of household smells. I like the biodegradable litter pellets too since it does help reduce the smells and you can just throw it in the toilet when you’re done. Now, when you introduce the other animal, do give them separate places. It can be a bit shocking for the original cats. There are always new furry friends that are looking for a home, and you can bring one home with you. As an aside, sometimes the best companion isn’t another cat. Some cats get overly jealous, but if you want to get another, you can always try it. Some of the best combinations can be another dog or even another cat along with a dog. A common misconception is that cats and dogs can’t get alone, but that’s not the case. Some of the best pals out there can be a cat with a dog, provided that they’re not overstimulated, and they’re happy with the situation. You as a pet owner should consider this if you think your cat is unhappy. Smokey loves Zip, but initially, she hated him. But, with proper introduction, now I catch the two of them grooming one another from time to time, and they’re much happier as well. Having a pet is pretty nice, and being a good pet owner to a cat is essential to the happiness of the pet. You can reap the benefits of having that secondary friend around, and you can take care of them in the best ways possible. 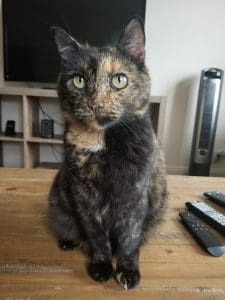 Having a happy cat will make a difference, and for you as a pet owner, you can use these ten tips to make your cat the happiest little friend that it can be, and it can help with any other problems that may come about from this as well.